Need to buff out those horribly sandblasted headlights, replace some worn interior trim, fix the ridiculous turn signal noise (ordered a new turn stalk and hazard light switch/relay), and I think I might need a new power steering pump. 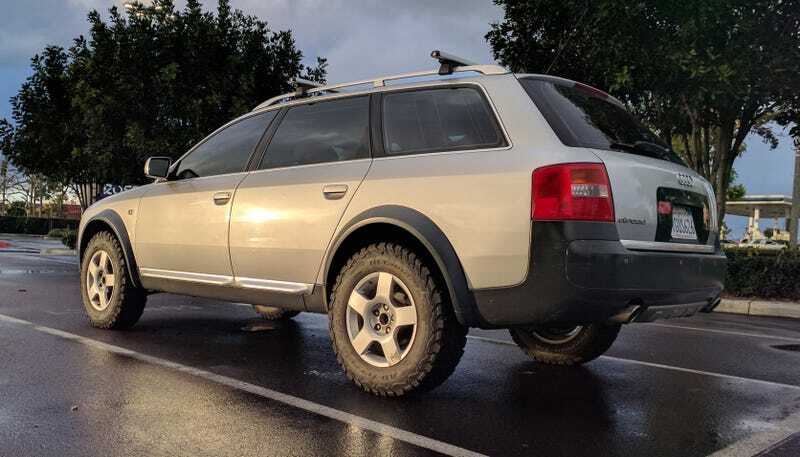 Also, the previous owner said he had done the 402 air suspension mod (a readjustment to the leveling software in VCDS), but from what I’m reading it doesn’t seem like he did, since the front seems to sit a bit lower than the rear with the IPP sensor arms. I’ll have to play around with that a bit, but a legit VCDS is kind of expensive. I’ve got a friend with one that will let me borrow it, but that’s not a long term solution. The good news is that the engine is running awesome, the transmission shifts beautifully (linkage might need a little adjustment for reverse), and it’s not throwing any unexpected codes. You know what my lady said when she first rode in it this weekend?